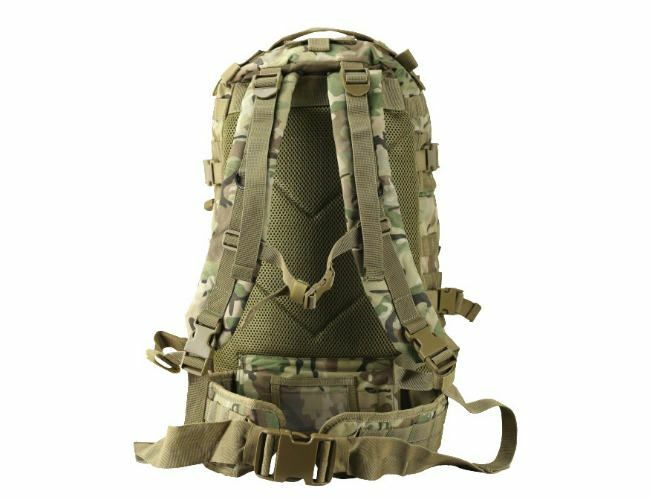 This Rucksack is medium size military Molle back pack and has plenty of compartments. 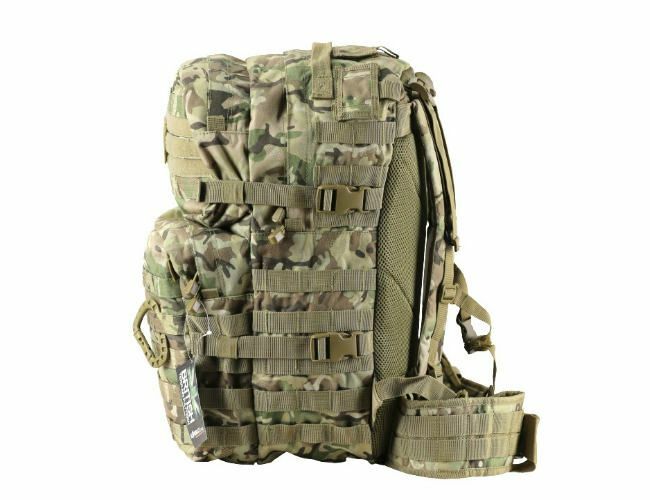 It has a padded waist strap padded and with and tabs, space for a Hydration bladder or a radio.It is made with tough thick waterproof Cordura. 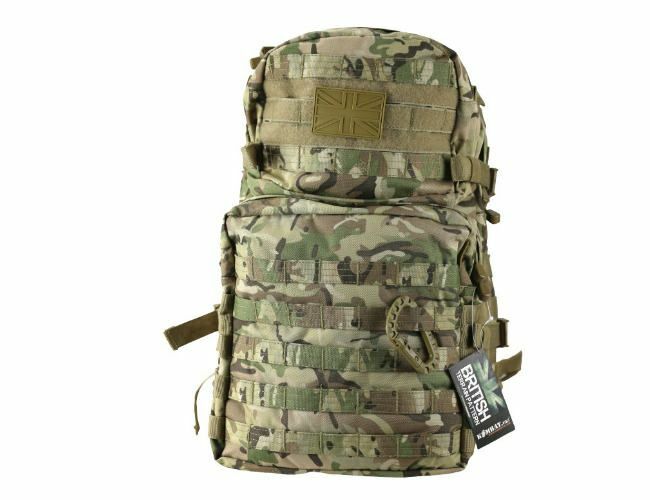 40 litre size.